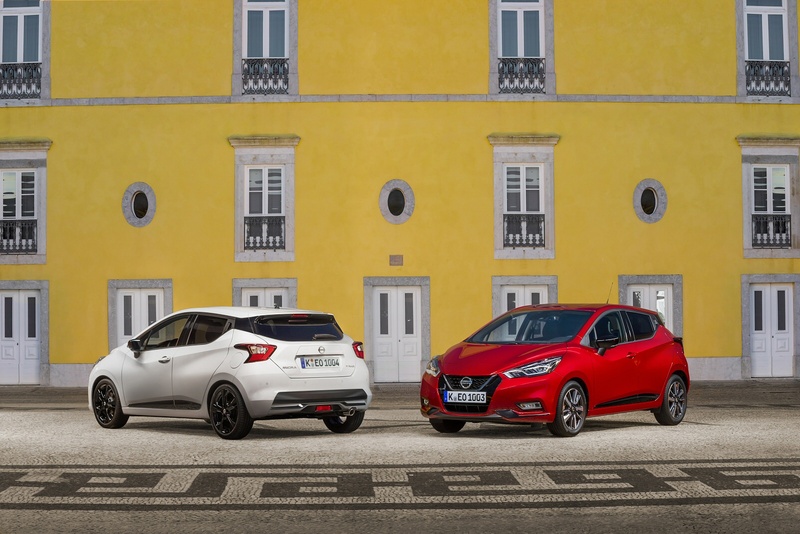 When the first Nissan Micra appeared more than 30 years ago, it marked a revolution in the small hatchback segment and opened a new chapter for Nissan. 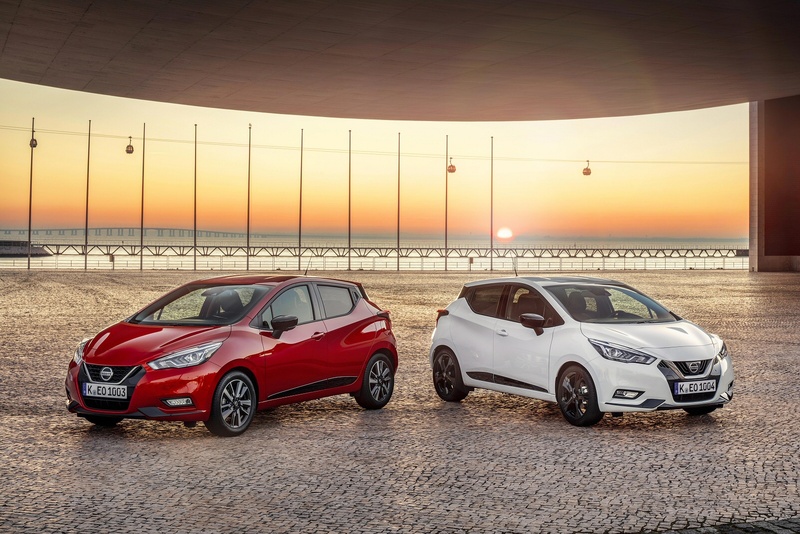 This fifth generation Micra, we're told, is just as revolutionary, and is intended to raise expectations for what a small hatchback can, and should, deliver to its customer. 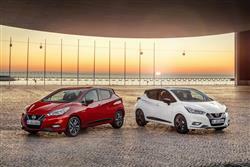 Under the bonnet, buyers get 1.0-litre petrol engines in four flavours. There's a base naturally aspirated 71hp unit, then three 1.0-litre turbo units developing either 90, 100 or 117hp and badged 'IG-T 90', 'IG-T 100' and 'DIG-T 117'. There's also a 90hp dCi diesel. Of perhaps more importance are the efforts that have been put in to improve the way that this Micra 'Gen5' drives. This model now features what Nissan calls 'Active Ride Control' for enhanced ride comfort, and 'Active Trace Control' for reduced understeer and sharper handling - both features borrowed from the brand's larger Qashqai and X-Trail models. A clever brushless electric power steering system - for greater steering feel and response - is also available. And much attention has been paid to reducing noise in the cabin. 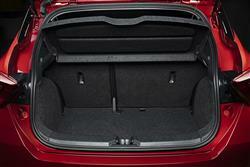 Improvements include considerably improved noise insulation and optimisation of the car's aerodynamic performance. Enhanced aero efficiency has been achieved thanks to the combined roof and side spoiler. As a result, this Micra has achieved a Cd of 0.29 - impressive for a supermini of this class. If you're used to the conservative design of the old fourth generation Micra, you may need to sit down and have a cup of hot sweet tea after looking at this one. The styling remains faithful to that of the 2015 Geneva Motor Show 'Sway' concept car that led to the development of this one. It's a riot of emotive curves and creases, with design cues including a distinctive V-motion grille, from where a sharp-edged character line runs through to the rear end with its boomerang-shaped lights. There's a so-called 'floating roof', an effect created by blacked-out rear C-pillars that hide the rear door handles so as to create a 'coupe'-like look. All of this is matched by a wider selection of more vivid colours, including a particularly vibrant 'Energy Orange'. 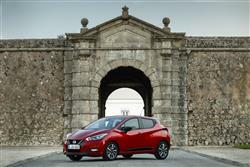 Inside, much attention has been paid to driver comfort, with a lower driving position for a more secure driving feel. It should be easy for all drivers to achieve the perfect driving position thanks to greater seat adjustment, the fully adjustable steering wheel and the optimal positioning of the pedals and shift lever. 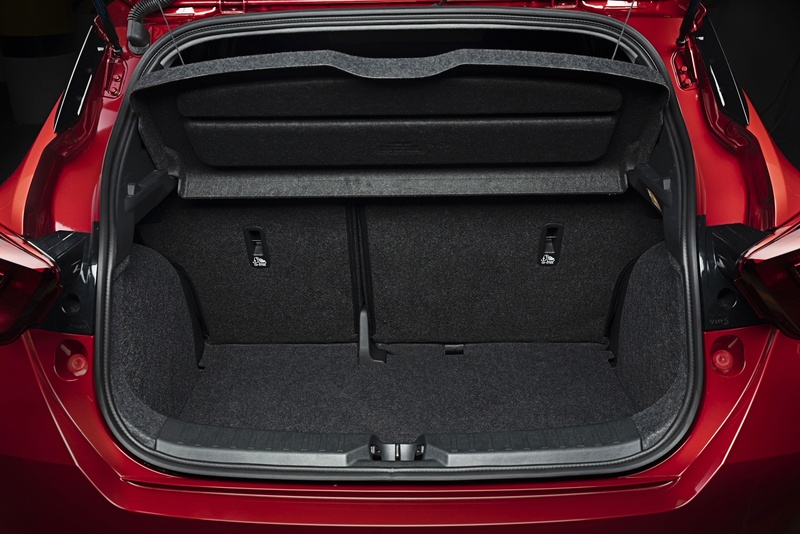 The car's extended width and wheelbase means cabin space is now among the best in class. The gliding wing-shaped dashboard gives the cabin a light, sleek and spacious look. Prices start at around £13,000 and there are six grade levels to choose from - Visia, Visia+, Acenta, N-Sport, N-Connecta and Tekna. 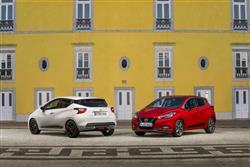 Buyers will be limited to a five-door hatch bodystyle. 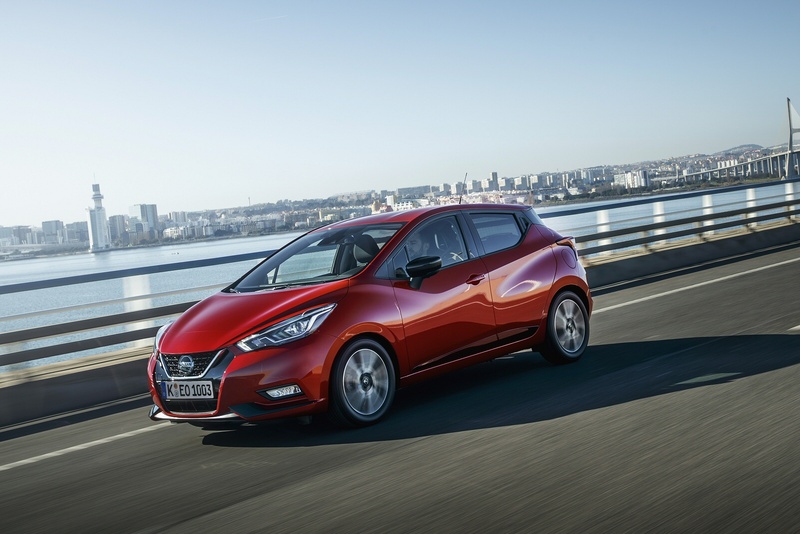 Nissan hope that the car will appeal to 'downsizers', people trading out of larger cars into smaller ones that remain plush and technologically savvy. To make it appealing to these people, there's what the brand hopes is class-leading levels of electronic safety and media connectivity. Safety features include 'Lane Departure Prevention' and 'Intelligent Emergency Braking with pedestrian recognition', as well as an 'Intelligent Around View Monitor', 'Traffic Sign Recognition', 'High Beam Assist' and 'Blind Spot Warning'. 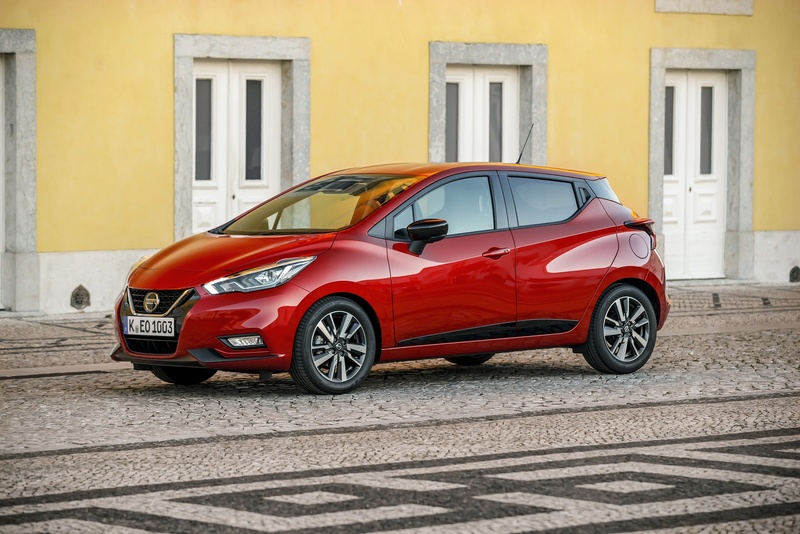 As for the media stuff, well Micra 'Gen5' comes with a 7-inch full colour central display, providing access to the audio system, satellite navigation, mobile phone connectivity, downloadable apps and Siri voice control via Apple CarPlay. 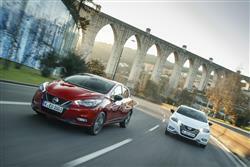 Nissan has also worked with Bose to develop a bespoke 6-speaker 'Personal sound system' for the car, with two Bose 'UltraNearfield' speakers, combined with Bose 'PersonalSpace Virtual Audio Technology' built into the driver seat headrest for a remarkably immersive listening experience. However style-led and fashion-conscious any modern supermini might be, it's not going to sell unless its running costs remain pragmatic. Here, that's not an issue. The entry-level 71hp 1.2-litre petrol engine isn't particularly frugal (46.3mpg on the combined cycle and 121g/km WLTP) but the 0.9-litre 90bhp unit achieves a much better combination of performance and efficiency (47.1mpg on the combined cycle and 118g/km WLTP). 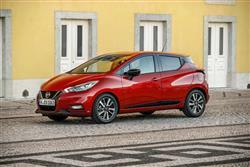 Ideally in this regard though, you'd go for the 1.5-litre dCi diesel. Here, you can expect around 52.3mpg on the combined cycle and up to 107g/km of CO2 (both WLTP figures). As you'd expect, Nissan has developed a Stop-Start system for the car to cut the engine when you don't need it, stuck in traffic or waiting at the lights. If you've got a top version with the optional 'Connect' sat nav set-up, then you'll also have a navigation system with so-called 'eco-routing', a feature that sees it able to calculate the route likely to use the least fuel. What else? Well residual values won't be quite as strong as some more established rivals in this segment, but the high specification on offer will help here, as it prevents buyers from diluting their residuals by adding expensive options. 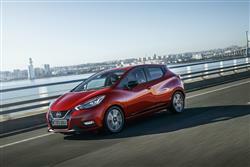 If you�re looking for a new Nissan Micra 1.0 DIG-T 117 Acenta 5dr [Bose] Petrol Hatchback for sale, you�ve come to the right place. 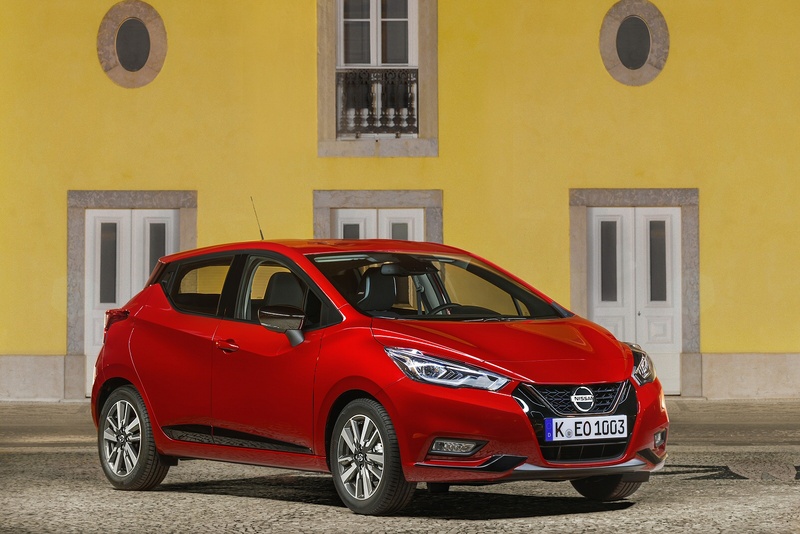 At Bristol Street Motors we don�t just have the best Nissan Micra 1.0 DIG-T 117 Acenta 5dr [Bose] Petrol Hatchback deals, we also offer friendly advice and help with all your enquiries to ensure your buying experience is a happy experience.